Say hello to Kavtek, the home design app that makes it easier than ever to visualize a better space. Designing your home has never been this easy. 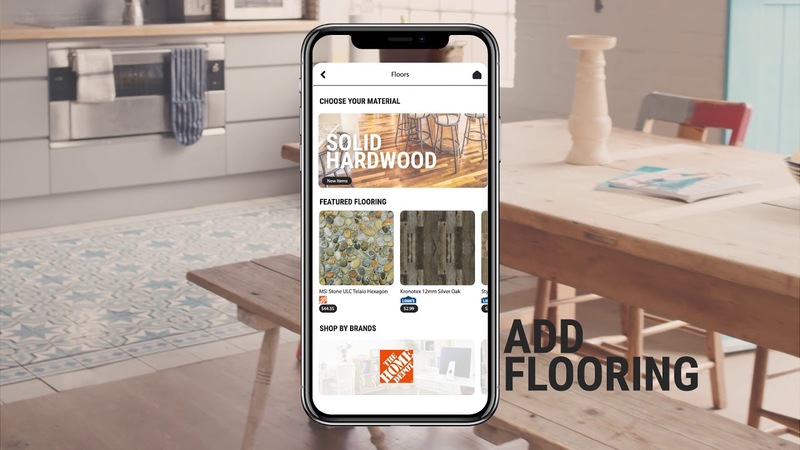 Change your flooring, paint walls, place new products, and landscape your home using augmented reality on your smartphone. The best app to design your modern home or apartment. Try new paint colours on your walls with a tap of a button. From cool neutrals to off-whites and versatile blues, Kavtek has thousands of real paint colours to try in your space. View 3D, true to scale furniture models and home accents in your space. Kavtek lets you imagine how products from Wayfair and other leading brands will look, feel and fit in your home. Find the perfect floors to suit your style. With Kavtek, you can place new flooring from Home Depot and Lowe’s right over top of your existing floors. Plan and create an outdoor oasis by visualizing new patio furniture, trees, flowers, rocks, and more on your property. Kavtek has been a life-saving resource for me. I discovered it before embarking on my first house reno project. I had renovated before but the thought of starting from nothing was completely overwhelming. Through the Kavtek product search function, I was able to go through literally thousands of products, place them in my living room and really narrow down to which products I wanted and inspired me. The results were so much better than I could have ever achieved on my own. The app is the most organized and easy to use I have ever come across. Bravo! I cannot thank you enough. We have since recommended our friends who are renovating their home which, again, Kavtek was an inspiration for every single day for every single idea. Amazing app!! It’s so easy to use and was very helpful in remodelling my basement, it made things so much easier! I highly recommend it!! WOW!!! I love everything you offer! We are doing an addition to our home also remodel and new windows…I heard about your app and WOW!!! I love everything you offer. We have found our paint, windows and floors. Used your share feature to help design my guest room, master, bathroom with the help of social media and I will use it for everything going forward. I just picked all my paint colors for the new addition and we are so excited… thank you for all the hard work it takes to keep this app the best and most user friendly. Copyright © 2019 Kavtek. All rights reserved.